Equipment reviews after Dec. 2017 trip. Re: Equipment reviews after Dec. 2017 trip. Who remembers Sno Sealing their all leather hiking boots? Man that brings back some painful memories. I was always a Merrell boot guy, and eventually graduated to the Wilderness. I had a big Mountainsmith Elite 7000 (8000 cubic inch) pack. I think I did 3 big trips carrying 15-17 days worth of food, ice axe, etc. I didn't have a name for the foot pain in those days, but now I know it's plantar fasciitis. Of course boots like that last forever, but I donated them about 20 years ago. Now I wear Salomon SA Pro 3D Mid's and couldn't be happier. They are basically mid height trail runners, but they have a much better foot bed support than those older, heavy duty boots ever did. I still have my Elite 5000 in the "museum"! The 5000 was a more sensible size, but I was also doing winter / snowshoe camping in those days, and needed room for all the bulky warm things. I was cleaning mine up to sell last year, but when water hit the little lumbar pad, the padding material instantly decomposed into a million bits of black grit and came out through the mesh. Whatever the padding material there was, it didn’t age gracefully. I need to fix it and get it the pack out of here. As comfortable as it was, I’m just never going to use an 8lb backpack again. I still have my Elite 4000! It's somewhat worse for the wear, but my wife still uses it when we take the family on longer trips. It's a bit too big for her torso, but she's not about to buy a pack for herself. That would mean she might actually be endorsing the idea of a backpacking vacation. Another key aspect of switching from boots to trail runners is switching from thick socks to thin socks. Otherwise they won't dry quickly. The combination of a ventilated shoe and a thin sock also means your feet sweat less, meaning fewer blisters. I use Darn Tough merino wool thin socks, although many people wear even thinner socks. I know this is an OLD post but I recently started using "Darn Tough" socks like DRS mentioned. I am really impressed! They are a bit pricey but I like they are made in the USA (Vermont, I think that's up in the panhandle around Lubbock!!) and they are guaranteed for life. From what I've read, customer service is top notch. You wear a hole in them after a few years of use and you send them in and they replace them! I've ordered a few pair over the last few months. I ordered some short ones to wear with tennis shoes. 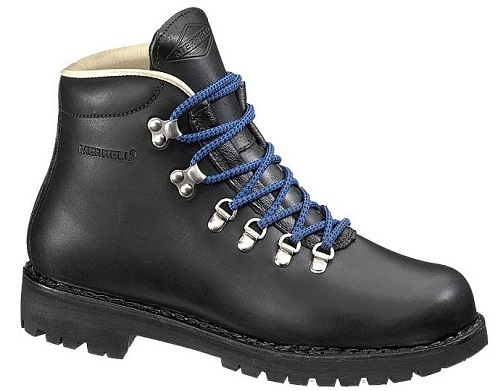 Then a taller pair I wore with my hiking boots in BiBE and also with trail runners in BiBE. Finally, I ordered a pair of "work socks" to wear with my work boots. They are all excellent. Most are some varying blend of Merino wool, nylon and lycra spandex. They stay in place without cutting the blood off. They are super soft and keep my feet dry. There are no seams in the toes or heels. They are warm when it's cold and cool when it's warm (not sure how that happens). When I got the work socks, I was a bit disappointed as they looked a bit thicker than the others I had received. I put them on and they were surprisingly light and feel a lot thinner in my boot. Just my opinion, but if you want a good sock, I'd give Darn Tough a try.